As evidenced by the array of exciting projects and brands we’ve worked with to date, we are widely recognised as one of the UK’s leading specialist interior fit-out companies. Our success is all down to our history, our culture, and our values: because we’re a third-generation family business, our passion for our work, our dedication to quality, and our unwavering commitment to customer service, are all very much part of our DNA. Our highly-skilled team of specialist upholsterers & furniture makers can create unique and bespoke furniture pieces, designed to your precise specification. Using proven manufacturing techniques and the very best materials at every stage of the production process, the level of craftsmanship in every piece is something to behold. In addition to furniture manufacture, we also offer several hundred fabric options from a collection that includes some of the most luxurious and expensive materials in the world. So, whether your project requires a stock fabric or your own custom-designed material, our expert upholsterers are trained to pay meticulous attention to pattern matching and trimming - resulting in beautifully formed furniture items that are visually stunning, supremely comfortable, and built to last for a generation. Abbey Upholsterers has one of the country’s largest in-house specialist joinery manufacturing facilities: this enables us to provide the highest standard of bespoke joinery with every piece we create - and ensures that our interiors perfectly match the vision of the architect or designer. We are continually investing in all areas of our business, to ensure we remain at the very pinnacle of our industry: that’s why all our manufacturing processes utilise the very latest in manufacturing technologies. Finally, we are 100% committed to maintaining both traditional woodworking techniques and quality of finish. By employing this “best of both worlds” approach, we’re able to marry cutting-edge technology with exquisite, hand-crafted pieces. 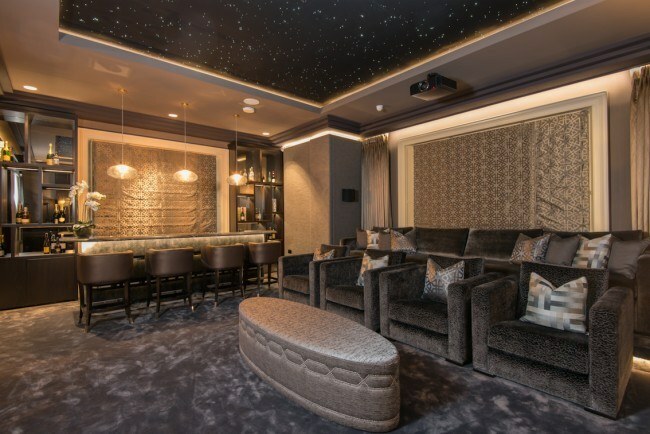 We offer bespoke interior design and luxury fit-out packages to suit the needs of every client, and every unique project: that’s why tailored, custom-designed, and bespoke are the three most commonly heard words across every level of our business. 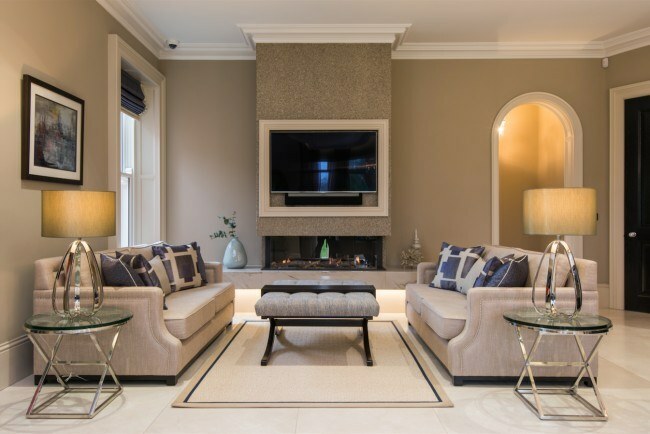 Because our reputation for quality, integrity, and exquisite finishing is second to none, we continue to deliver a vast number of prestigious projects which include installation and finishing of floors, walls, ceilings, panelling, wood-works, doors and frames, specialist joinery and bespoke furniture fit out. All our fit-out work is driven by an all-consuming passion for excellence at every stage of the project process, for all our clients across both the private and commercial sectors. We provide a full interior fit-out joinery service for highly prestigious residential properties, both in the UK and overseas. Exclusive executive properties demand careful and considerate attention to detail in every single design element and, from design development to project completion, our manufacturing and management capabilities play a crucial role in delivering high-end projects on-time and on-budget. 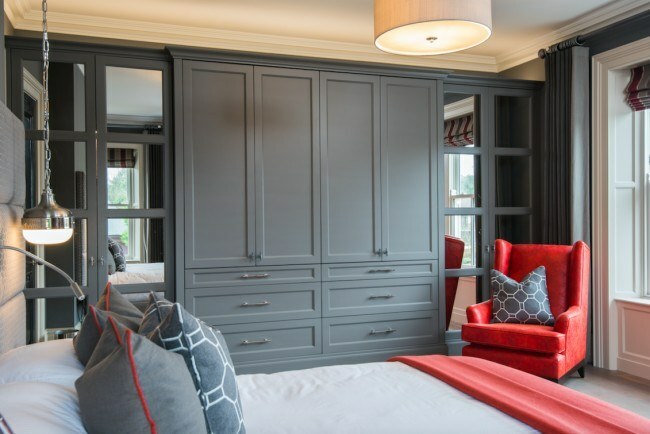 Working closely with contractors, designers, architects, construction professionals, clients and client representatives, we have built an enviable reputation for providing a quality bespoke fit-out and joinery service of the highest quality within this niche market sector.